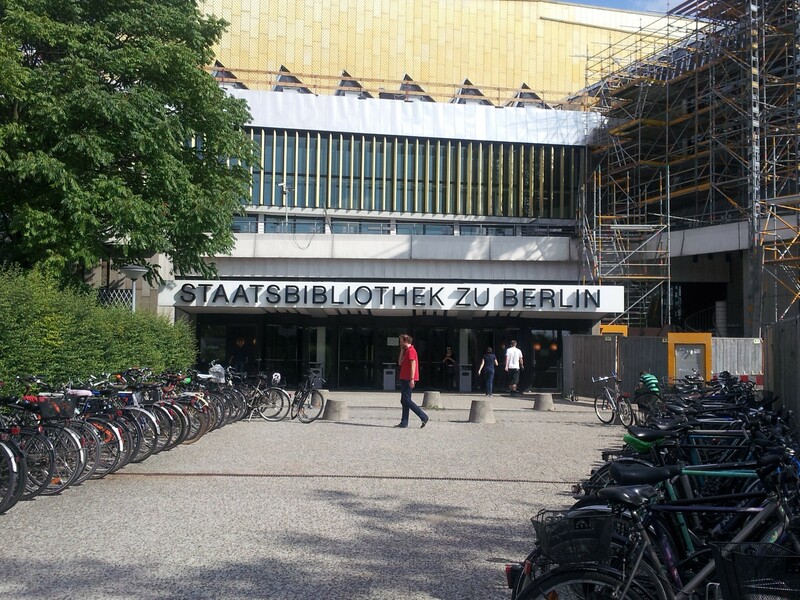 Some anecdotes from the Introduction to Hebrew Manuscript Studies Workshop , Berlin July 15-19. In this post I will not attempt to present the important points we learned in the Introduction to the Hebrew Manuscripts Studies workshop (http://www.ihiw.de/w/scriptorium/hebrew-manuscripts-studies-an-introduction/)- there are far too many of them to this adequately- but rather I want to present some anecdotal information about and from the workshop (I hope to follow up with some more in depth posts derived from the workshop in the near future). Among the manuscripts we got to see were, the Erfurt Giant Bible- the biggest Hebrew manuscript, the oldest dated Yemenite manuscript, the oldest copy of the Tosefta, and a Bible copied by the son of Berachiah HaNaqdan in which he mentions his fathers’ works (I hope to post about each of these manuscripts in the near future). Not a single glove was worn during the week! In his responsa The Rosh (Rabbi Asher Ben Yehiel 1250-1328) writes: “As for what you have asked about a judge who ruled about one who has books and does not want to lend them [to be copied], and he [the judge] fined him ten gold coins for every day because of bitul torah [i.e. causing the loss of learning] in the city due to the lack of books in the city and there were people who had books but did not want to lend them- he [the judge] ruled properly and I agree with him.” (My translation from The responsa of the Rosh, principle 93, 3. here: http://www.hebrewbooks.org/pdfpager.aspx?req=44347&st=&pgnum=307&hilite= also quoted in M. Beit-Arie Hebrew Codicology footnote 60). Authors would frequently send out sections of a book to be copied even before the whole book would be completed. There is much evidence for this practice, including the RaDaK (Rabbi David Kimhi 1160-1235) apologizes in his Sefer Hashorashim, “the Book of Roots” (a dictionary of Hebrew based on the roots of words) that he had put a certain root earlier and it should have been later, but the section containing the root had already been released to the public. Sons mention that people would look through their father’s books and copy their “teaching notes” and publish them before they (the father or the son) had had a chance to prepare them for publication. 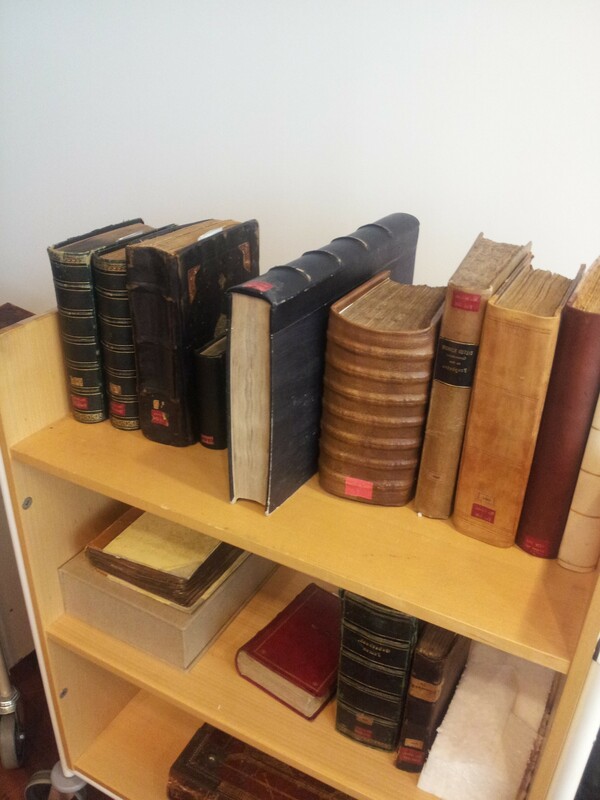 Books were frequently left unbound so that multiple people could make copies of different sections at one time. I.e. Person A would copy section 1 and person B section 2 at the same time, then they would swap and when they were done 2 new copies were ready at the same time that it would have taken to make one copy of a bound manuscript. A small sample of the things I have picked up from reading a portion of (my e-book tells me I have read 34% of it) Malachi Beit-Arié’s Hebrew Codicology: Historical and Comparative Typology of Hebrew Medieval Codices based on the Documentation of the Extant Dated Manuscripts in Quantitative Approach (more on Beit-Arié’ and this book below). “The extant Hebrew codices, mostly medieval, number around 100,000 items (including many composite manuscripts) and, in addition, more than 300,000 fragments, all kept in some 800 collections, mainly European.” (HC English Summary, page 3). Important note 1: “Hebrew” in this context refers to the script, as the languages included can be Judeo-Arabic, Yiddish, or Judeo-Persian and more. Important note 2: While this number includes recent discoveries such as the “Italian Genizah”: http://www.j-italy.org/sources/books-and-essays/the-italian-genizah, we are witnessing the discovery of many more new fragments and even whole collections (such as the Afghan Genizah: http://www.huffingtonpost.com/2013/01/03/afghan-genizah-manuscripts_n_2403893.html) so the number should not be seen as final. The codex was adopted by the Jews in the Orient much later than it had been by the Christians and not before the eighth century or following the Islamic expansion. (HC English Summary, page 3). מצחף mushaf مصحف and דפתר daftar دفتر. A Hebrew word מחזור mahzor appears later. None of these remained in use for long (HC Hebrew, 35-36). There are 5Geo-Cultural entities of Hebrew Manuscripts Ashkenaz, Sefarad, Italian, Byzantium, Orient. Some of these then can be further subdivided: German vs French, Spanish vs. Tunisian etc. (See HC English Summary page 3 for a map). Despite the shared religious, and scriptural elements, Hebrew codices from different “Geo-Political” regions will have more in common codicologically with none-Hebrew codices from the same Geo-Politcal region than a Hebrew one from a different geo-political region. That is a Hebrew codex from Italy from the 13th century will have more in common codicologically with a Latin codex from Italy from the 13th century, then a Hebrew one from Iraq or France. Because of the migrant nature of medieval Jewish life, paleography is not as reliable in locating where a Hebrew manuscript was made as is codicology. People would maintain the handwriting they learned elsewhere, but the materials as well as other book making practies would stay local. For example, at one point in Italy there types of script were used: Italian, Sepharadi, and Ashkenazi. There are four extant volumes of Maimonides’ commentary on the Mishanah written in his own hand. Two are written on paper manufactured in the Sepharadi Geo-political sphere- suggesting that they may have been composed while he was in North Africa, the other two are on “Oriental” paper- pointing at Egypt. 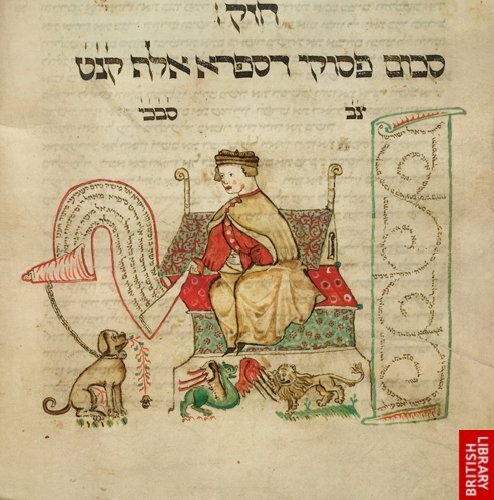 Starting on Monday July 15th I am attending a 5 day “Introduction to Hebrew Manuscript Studies” workshop (see details here: http://www.ihiw.de/w/scriptorium/hebrew-manuscripts-studies-an-introduction/). This is a subject that I have been interested in for years (even before I started Graduate School I applied for a project that would have included working with Hebrew Manuscripts in person), but for one reason or another, I have not been able to pursue it properly until this summer . And here I must thank my wife for generously allowing me to leave her at home with three kids to fulfill this dream. I have decided to try to make the most of this opportunity by reading up a bit on Hebrew Manuscript Studies before the workshop (more on this below), and by writing a blog about my experiences during the workshop (which will hopefully help me retain things better, and be of benefit to others interested in the topic). Leading up to the workshop I have been reading Malachi Beit-Arié’s Hebrew Codicology: Historical and Comparative Typology of Hebrew Medieval Codices based on the Documentation of the Extant Dated Manuscripts in Quantitative Approach. Although I have been reading the longer Hebrew version, I have also browsed the English summery, and I heartily believe that even the shorter version would be of use to those who have interest in Hebrew book culture or book culture in general. For those who do not know Beit-Arié is one of the two founders, together with Colette Sirat ( http://www.colette-sirat.com/en/aventures.html ), of the study of Hebrew Manuscript Codicology and Paleography. I’m a reading about the history of Hebrew Books in a .pdf on my e-book reader of – the “Pre-publication internet version(s)” of Hebrew Codicology were made available in this format for a number of reasons: A. Making it easily available: indeed I would not be reading it at this time, if it were not available online) B. Allowing to electronically link to SfarData the Codicological Data- Base of the Hebrew Paleography Project (see here: http://sfardata.nli.org.il/sfardataweb/home.aspx )- I haven’t come along any links to it yet in my reading but C. Allow for dynamic updating of Hebrew Codicology. I have to confess that reading this book on my e-reader has not been the most comfortable experience, this is due to the limitations of my e-book reader, and I would imagine not be an issue on one with a bigger screen or a tablet. As a scholar of Medieval Hebrew (and Arabic) literature I have frequently wondered about the medieval material conditions of the texts I work on, and how these relate to interpreting understanding the texts. Also frequently I have been asked by others, sometimes as part of job interviews, questions like: “Since Jews did not have monasteries, where were the manuscripts produced?” “Were there exemplars of important texts from which copies were made?” “Do we know how many medieval books survive?” “Where were Hebrew Books produced” (For this one I assumed that anywhere that Jews lived, but I didn’t know for sure). Over the years I have made attempts to find answers to these questions, but while I have found answers to some, there was no one place that answer them clearly, nor that presented a comprehensive systematic treatment of the material conditions of the Hebrew Book- before this one! Now I have answers, to these questions, and many more. While I have focused in this post on the things we can know, the book is also very clear about the things we either do not know, or cannot be sure about- knowing these is also useful (but perhaps that is a topic for another post).